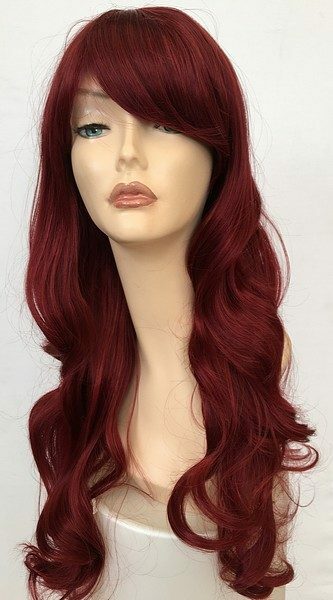 Long red wig Saffron is a fabulous ladies long curly full wig with a bright vibrant red colour shade. 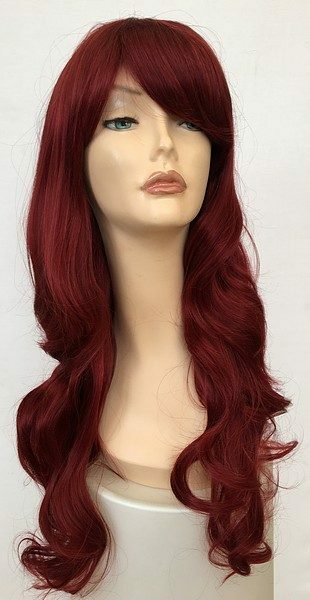 A superb ladies long red wig from Wig Store UK. 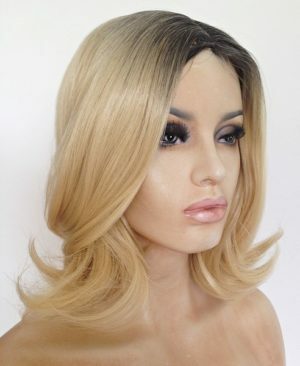 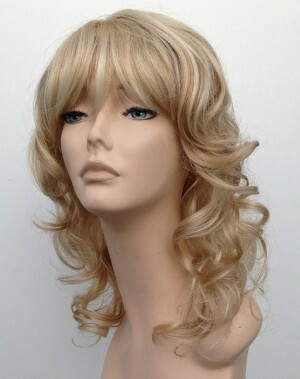 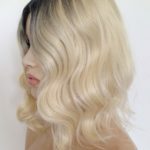 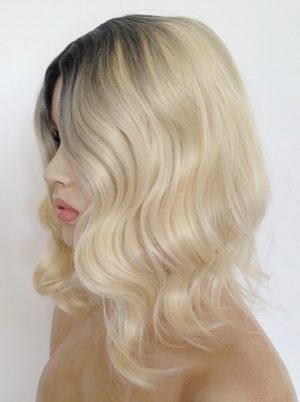 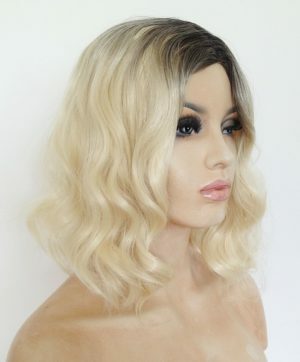 Ladies mid length blonde wig Timeless Chic has soft curled styling, fringe and skin top parting, a fabulous wig which simply needs ‘shaking out’ for the style to spring into this wig. 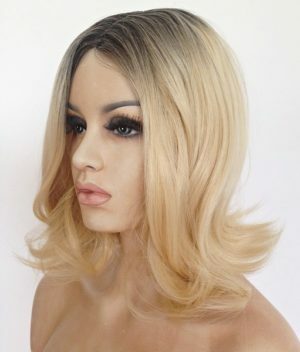 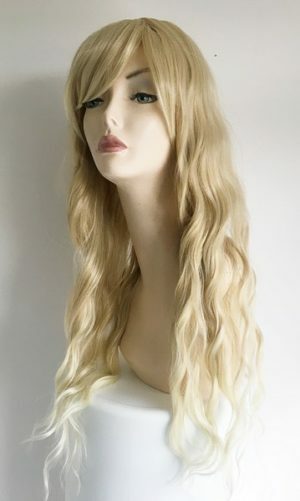 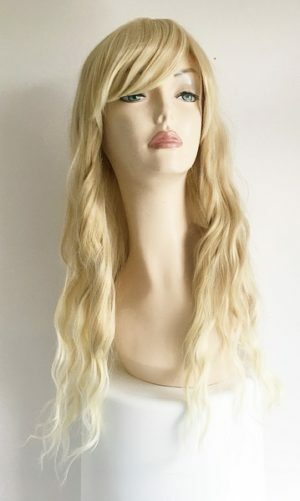 Light blonde colour tones throughout this wig give it an overall natural blonde finish. 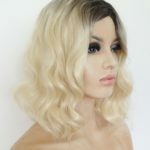 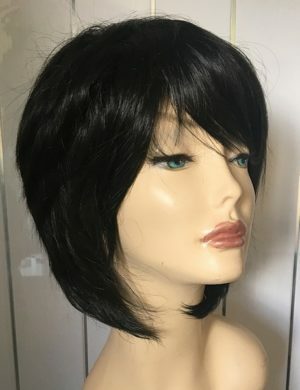 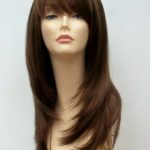 Wig Store UK are a trusted online wig retailer, we are based in the UK and all our wigs are shipped from the UK, we offer superb, modern and stylish wigs at affordable prices. 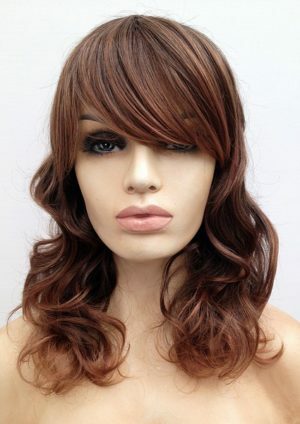 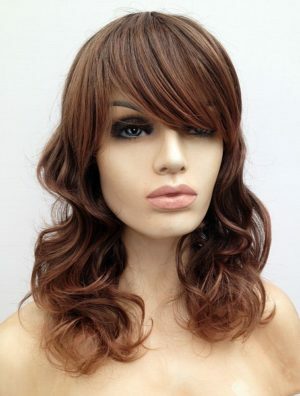 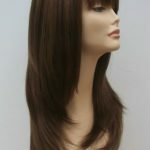 Elegant and classy this ladies soft wave full wig has a skin top crown, longer fringe detail and a wonderful warm chestnut brown colour mix. 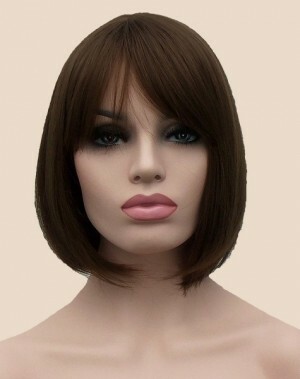 Mila blonde choppy bob wig with dark roots. 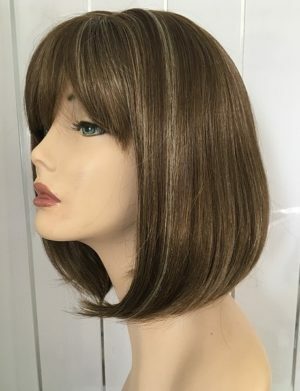 This fabulous ladies short wig has a fantastic combination of colour shades, mid brown with honey blonde highlights, modern styling, fringe and sassy short bob cut. 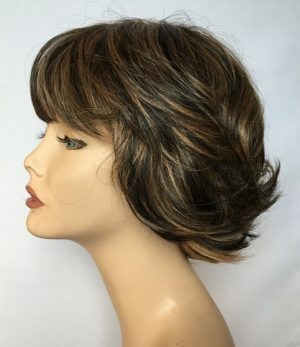 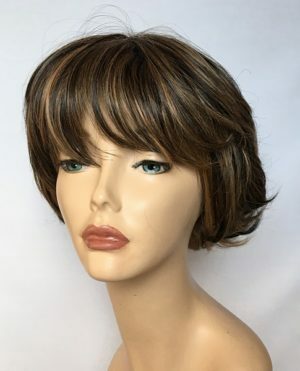 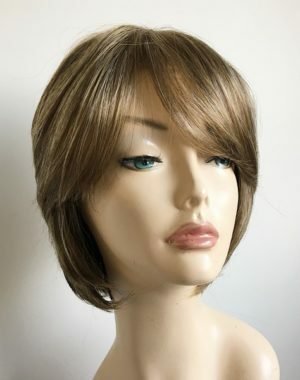 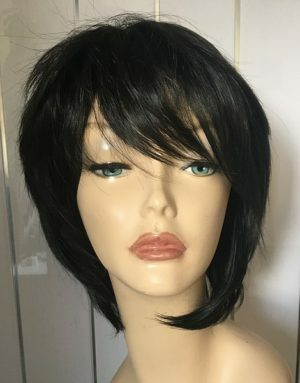 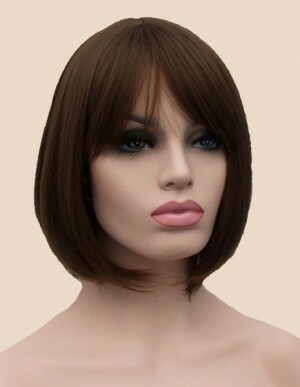 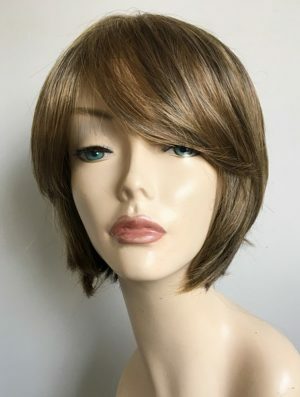 Modern ladies short wig Roxette. 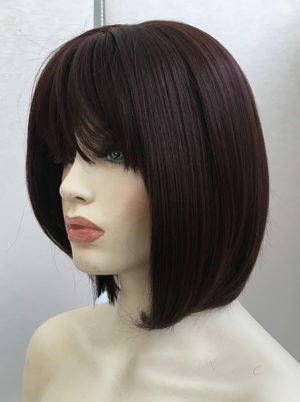 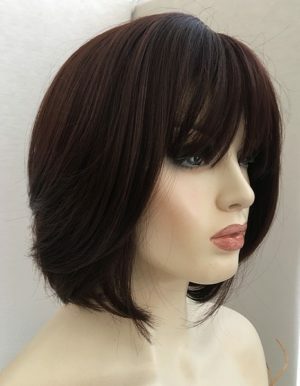 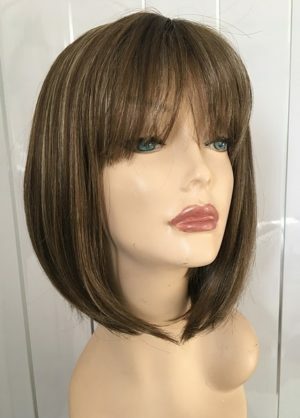 This fabulous ladies short wig has a fantastic combination of colour shades, dark brown with honey blonde highlights, modern styling, fringe and sassy cut layers.